What Is the Satanic Temple, and How Did a Goat-Headed Statue End Up at the Arkansas State Capitol? 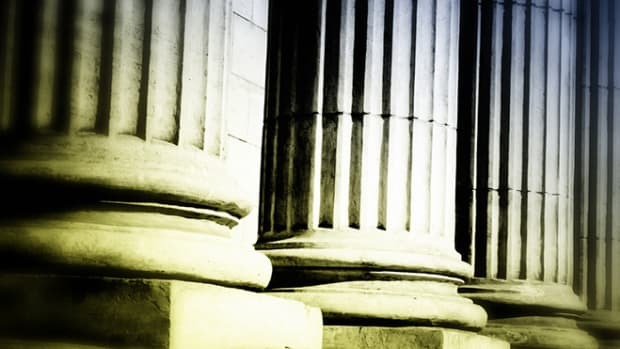 The non-theistic religious organization has challenged Christian dominance in governmental action across the nation for years. Baphomet serves as a go-to signifier for the Satanic Temple. 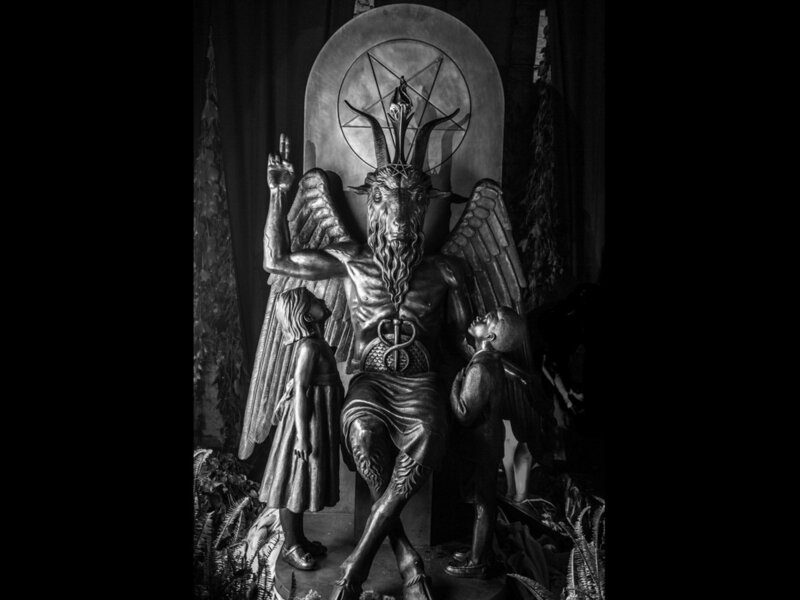 Hooves, horns, wings, and rippling muscle touched down briefly at the Arkansas State Capitol on Thursday, as the Satanic Temple unveiled an 8.5-foot tall bronze statue of Baphomet at the Arkansas State Capitol. Baphomet, a winged creature with a pentagrammed goat&apos;s head and man&apos;s torso, serves as a go-to signifier for the Satanic Temple. The statue was trucked into Little Rock for a First Amendment rally the Temple held last week, as a protest against the Ten Commandments monument that currently sits on the capitol grounds. The Satanic Temple is a non-theistic religious organization that uses religious freedom laws and occult imagery to challenge Christian dominance in governmental action across the nation. Its rally in Arkansas featured Christians, Satanists, and members of the Arkansas Society of Freethinkers (an organization focused on the separation of church and state) speaking out against the biblical monument, and in favor of religious pluralism. "This isn&apos;t a rally of secularists versus people of faith, Satanists versus Christians, or outsiders versus Arkansas. This is a rally for all people who hold sacred the founding Constitutional principles of Religious Freedom and Free Expression that have fallen under assault by irresponsible politicians," Satanic Temple founder Lucien Greaves wrote. The Arkansas State Capitol has featured a Ten Commandments monument since April of 2018, when it was reinstalled after an identical monument made a short-lived appearance at the same location in 2017. Mere hours after the original statue was introduced by its legislative sponsor, state senator Jason Rapert, a man drove his car into the stone tablet, shattering it to bits while blasting a Christian rock song and yelling, "Oh my goodness. Freedom!" He turned out to be the same man who had driven into an identical display at the Oklahoma State Capitol in 2014. From his jail cell, he confessed to the Arkansas Times, "I did it because I fully believe I&apos;m the rider on the first white horse in Revelations." He has since been hospitalized and deemed mentally unfit to stand trial. According to the state of Arkansas, also unfit to stand is the Satanic statue of Baphomet on state capitol grounds—for longer than a quick afternoon rally. The Satanic Temple argues that, as long as an explicitly Judeo-Christian monument is showcased at the capitol, other religious groups must also be allowed to erect statues symbolizing their faith. Rapert, a polarizing figure whose truculent Christianity earned him a popular Change.org petition requesting that the "grit chamber" of a local sewage tank be renamed in his honor, has defended the Ten Commandments monument as a philosophical influence on Arkansas laws, disconnected from religion. "The sole reason that we donated this monument to the state of Arkansas is because the Ten Commandments are an important component to the foundation of the laws and the legal system of the United States of America and of the state of Arkansas," he told the Times. The Satanic Temple disagrees, and plans to sue the state of Arkansas over the monument. The Temple tried to join an American Civil Liberties Union&apos;s lawsuit arguing that the monument&apos;s presence is a violation of the First Amendment&apos;s establishment clause, which protects freedom of religion. But the ACLU has thus far attempted to bar them from joining, and the Associated Press reports that a judge will decide whether the cases will be merged. But why wouldn&apos;t the civil rights lawyers at the ACLU want to be associated with the Satanic Temple&apos;s middle finger to Christian hegemony? The answer might seem obvious enough, but a look back at the Satanic Temple&apos;s other protests reveals plenty of shared substance with the religious freedom wing of the ACLU—despite significant departures, aesthetic and otherwise. 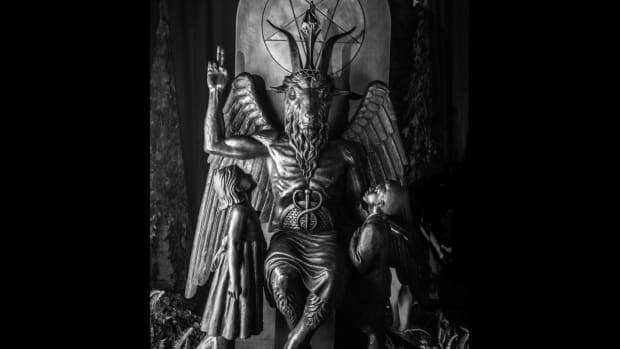 The giant Baphomet statue unveiled in Little Rock last week is a holdover shadow from a nearly identical fight in Oklahoma a few years ago: The Satanic Temple originally had the bust created for display in Oklahoma in 2014. The Oklahoma State Capitol had featured a Ten Commandments monument of its own for several years. As with Arkansas, the Satanic Temple pushed for equal representation of ideological affinity groups at the state capitol, as did a Hindu group, the Church of the Flying Spaghetti Monster, and an animal rights organization. Also as with Arkansas, a galloping portent of the apocalypse turned to smithereens the original tablet, which was then replaced. The former Environmental Protection Agency head Scott Pruitt was then the Oklahoma state attorney general, and the monument became a rabble-rousing hobby horse for him. Oklahoma eventually lost a lawsuit to the ACLU in state court, which ruled that the Decalogue display violated the state constitution&apos;s prohibition of the support of any particular religious sect. As to whether the press-hungry actions of the Satanic Temple had any effect in the case, Greaves&apos; cocksure salesmanship bled through his epistemological humility: "We&apos;ll never know to what degree the State Supreme Court considered that any ruling for the 10 Commandments needed to be equally applied to our bid to erect Baphomet," he wrote on his website, "but many reasonably feel it was certainly a consideration." The Temple received a more definitive, if smaller victory that same year in Florida, when it successfully lobbied for the inclusion of its own holiday display inside the state capitol building in Tallahassee. Alongside Christmas decorations and a Festivus pole, the Satanists put up a middle school science fair-esque cardboard box diorama of an angel falling from heaven to hell. The same display had been rejected the year before as "grossly offensive," but was allowed in 2014 after the Temple threatened a lawsuit. The Temple has a long history of trolling in Florida: Its first public appearance ever was at a rally in early 2013, where members cheered on Governor Rick Scott as he signed a bill to allow prayer in schools. Mirroring their Christian opponents in legislatures and the populace, the Satanic Temple&apos;s battles have also focused heavily on reproductive rights. Specifically, the Satanic Temple has challenged restrictive abortion regulations in courts, and engaged in counter-protests against anti-choice protesters outside Planned Parenthoods. (A Broadly documentary from 2016 captured a particularly haunting demonstration of Satanic Baby Men agitating in support of an abortion clinic in Michigan.) Most prominently, they sued Missouri in state and federal courts in 2015 over the state&apos;s abortion "consent" law. The law was being interpreted to require women to listen to the fetal heartbeat via ultrasound, receive an informational booklet designed to dissuade abortion-seekers, and wait 72 hours before they could end their pregnancies. In 2015, one Satanic Temple member, identified in the Missouri lawsuit as Mary Doe, drove three hours to what was then the only Planned Parenthood in the state, seeking an abortion. When she was subjected to the requirements of the abortion "consent" law, she provided a note to her doctor claiming religious exemption. One of the Satanic Temple&apos;s central principles is that "one&apos;s body is inviolable, subject to one&apos;s own will alone." Doe and the Temple argue that subjecting her to the "consent" law&apos;s myriad restrictions violates the dominion of her will over own body, and thus her free exercise of religion. Another anonymous Satanic Temple member, "Judy Doe," filed a similar lawsuit against the state of Missouri in March of this year, according to the St. Louis Post-Dispatch. The Temple&apos;s fights over egalitarian treatment in the public square have not been limited to physical spaces. In January, Jezebel reported that the Temple threatened to sue Twitter after former child actor Corey Feldman—who starred in The Goonies, Stand by Me, and Gremlins—retweeted an account advocating for the Satanic Temple&apos;s headquarters in Salem, Massachusetts, to be burned down. Feldman believes sexual abuse (which he experienced repeatedly as a child star) to be connected with Satanism, and thus is a vocal and often distraught anti-Satanism commentator on Twitter. Greaves wrote on Facebook that, shortly after the call for arson, a man—apparently unwell and of unclear connection to the tweets—was arrested outside the Temple&apos;s headquarters for kicking and pummeling the side of the building. Greaves&apos; subsequent online sparring with Feldman resulted in Greaves&apos; brief suspension from Twitter. According to the Washington Post, the Temple holds that Greaves&apos; account violated none of the platform&apos;s rules, and that his suspension (and Twitter&apos;s failure to address the arson tweet) was tantamount to religious discrimination. In May, Greaves filed a complaint with the Massachusetts Commission Against Discrimination, according to the Boston Globe. That Twitter may have mishandled a case of harassment is not exactly surprising or new information, but the ramifications of this fracas have been unexpectedly significant for the Satanic Temple. Courting a lawsuit with Twitter, Greaves retained First Amendment lawyer Marc Randazza, who agreed to take the case pro-bono. Normal enough behavior for the Temple, except that Randazza represents a coterie of prominent alt-right figures, including Alex Jones (in his lawsuit against the families of Sandy Hook victims) as well as the publisher of neo-Nazi website the Daily Stormer, Pizzagate proponent and professional concern troll Mike Cernovich, according to the Daily Beast. "Perhaps I think of lawyers differently than other people," Greaves told Jezebel. "To me, they are a tool. A necessity. I don&apos;t care what else he believes so long as he represents our interests in court." Many members of the Satanic Temple feel differently. In response, the Satanic Temple&apos;s Los Angeles and Portland chapters disassociated themselves from the national organization, and the heads of the Dallas chapter wrote to Jezebel, "[M]any within the Dallas community stridently disagree with the choice of his firm as legal representation, due to the negative associations of the unsavory points of Randazza&apos;s history and written expression that contradict our Satanic ideals." Additionally, Jex Blackmore (a Satanic activist who left the organization earlier this year) published a lengthy critique of the Temple on Medium last week that, among other complaints about non-inclusivity, racism, and sexism within the organization, called Randazza&apos;s hiring "a disgraceful lack of judgement that highlights the continued absence of diverse and equal representation within the organization." Back in Arkansas, the state capitol is now free of Baphomet, though the sulfurous scent of a civil rights lawsuit lingers around the commanding stone tablet that still sits outside. Greaves, at least, expressed confidence that Arkansas courts would repeat Oklahoma&apos;s banishment of the Ten Commandments monument from the capitol, noting that the separation of church and state language in the Arkansas constitution is even stronger than Oklahoma&apos;s.
"While the idea of our Satanic monument residing upon the Capitol grounds is undeniably disturbing to some," Greaves wrote earlier this month, "we would hope that most of the citizens of Arkansas would be at least equally disturbed that their government has now taken it upon itself to try and act as arbiter of what is or is not an appropriate religious or political viewpoint." Jack Denton is a contributing writer at Pacific Standard. He was previously a producer for The Brian Lehrer Show, a news-and-politics talk show on New York Public Radio, and a reporter for Solitary Watch. His work has also been featured on Gothamist and Impose Magazine. He is a graduate of the University of North Carolina–Chapel Hill. The convoluted history of religious exemption in the United States. During oral arguments for a lawsuit between the Satanic Temple and Missouri over abortion restrictions, the state solicitor general debunked the notion that an ultrasound is legally required for any woman seeking an abortion. That in itself is a minor miracle. Nina Martin talks with a leading expert on the historic tension between civil rights and religious freedom. Who Needs God When We've Got Mammon? The world's most prosperous (and happiest) countries are also its least religious, new research states. What Is Musical Genre Exactly? 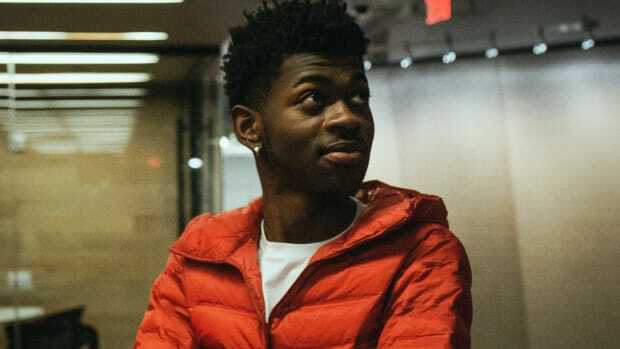 Billboard's decision to remove Lil Nas X's "Old Town Road" from its country chart exposes how artists' race and class—more than their sounds—have always defined genre. A New National Park Service Proposal Could Restrict Protest in Washington, D.C. 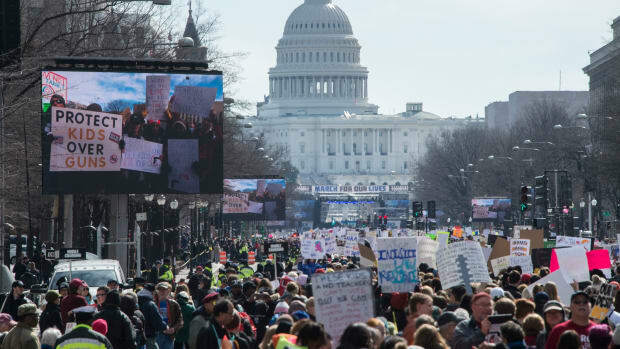 The proposed changes could put a fee on protesting in the nation's capitol.